Enjoy a round of one of the oldest board games known! 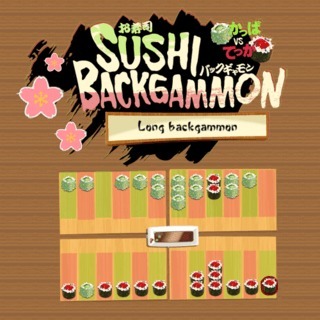 In this tasty backgammon version your task is to move your pieces across the board onto the plate before your opponent. Roll the dice and place your sushi strategically: a point can never be occupied by both players simultaneously, so plan ahead to block your opponent and earn a bonus score. Can you win the game in all 3 difficulties and become a true backgammon sensei?